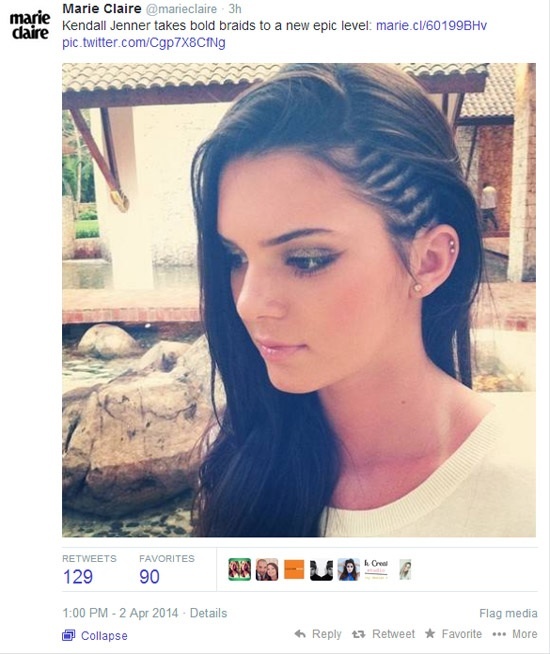 About three hours ago, Marie Claire sent out a tweet acknowledging Kendall Jenner’s braids she sported almost a year ago. As we reported on Tuesday, the Kardashians are currently in Thailand for work and play. Jenner, along with her sisters Kim and Khloe Kardashian have been posting tons of pictures from the trip, including shots similar to this one. The women’s publication put up the photo with the caption, “Kendall Jenner takes bold braids to a new epic level.” And immediately, all hell broke loose. Black Twitter, as it’s affectionately called, quickly spoke up.